Suddenly appearing in a different world, it looks like I got caught up in a Hero Summoning. And of course, I’m not the Hero, but it’s another guy……and while being very cautious and scared of the cliche of the cliche-like development, I was thrown into the maelstrom of war……or not. The Demon Lord? It was defeated a thousand years ago. Hero? He’s just the main actor in a festival. Nobles? They’re kindly taking care of us. The Demon Race? They have good relationships with Humans. Wars? It’s already 800 years since the last one. Monsters? The Guild and Order of Knight are taking care of them. Return to Earth? It is eventually No-Risk. What I’m planning after being caught up into this? I’m gonna enjoy the life in a different world as much as I want to, go on a cultural exchange and sightseeing, and after experiencing the festival that is only held once every ten years……I shall go home safely. A kind world where the three races, the Spirit World’s Magical Races, the Celestial World’s Divine Races, the Human World’s Human Races, they are kind neighbors to each other, with everyone living a peaceful and fulfilling life. I'm sensing comedy aura from this one. So far (only 2 chapters to be exact lulz) it's not bad. Expect something like comedic slice of life from it. 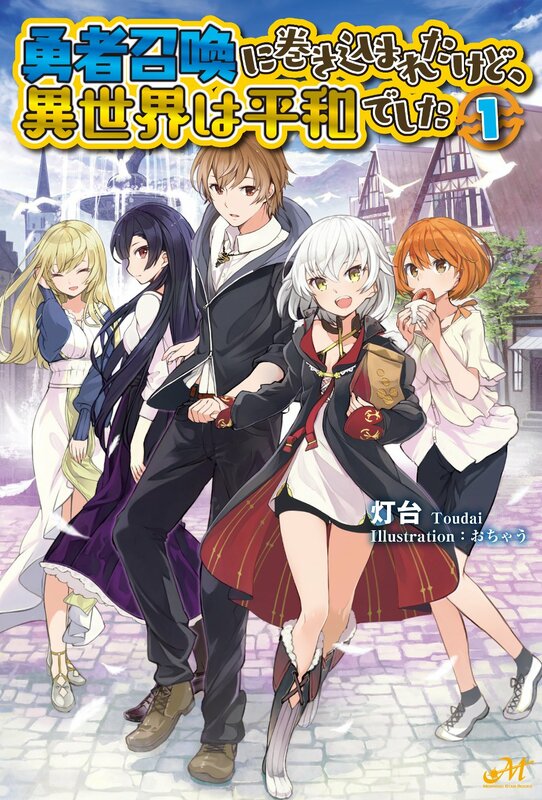 The isekai part is just a mere setting to justify its background (medieval otherworld) ; even the job "hero" seems so useless. 569 Chapters and you got story about 6 months from the starting point. This is basically the sugar coating story. A lot foreshadow, if author note get translated XD. This story can be shortened with a quote from Luna. "Iya~, As expected from Miyama-sama! Demon, God, Human, The ability to engage without betraying hope, amazing. Popular men indeed different. Where will it happen next?. Isn't it already time to be involved with other worlds??" I also sense comedy from this novel, I expecting quite a good story as the world is peaceful, definitely leaving room for drama! Also so far seams like it would. Make a good manga, which is rare for so few written chapters, but looking forward to more! I do hope they all get edited! Human world's Healing Magicians...... Can not cure. Void King (as [冥王] has been translated)...... Can cure. Creation God [創造神]...... Can cure with ease. Spacetime God [時空神]...... Can cure. Death King (as [死王] has been translated)...... Can procure the fruit of the World Tree. Huh? If this has been left to Kaito, everything would've been solved, no? Also, almost every chapter ends with "Dear Mother, Fatherーー" Summary, but there are times where the chapter still continue. These are usually from the POV of other characters. I also love the fact that two most powerful Spirit kings are willing to kill or cripple the king of the kingdom that summoned MC & co. just because the MC was left out of the Hero's Party (as in a dinner party).